The Spencer J. Roemer Arboretum's mission is to encourage both the students of SUNY Geneseo and the Geneseo community to understand, enjoy, and preserve the natural world. 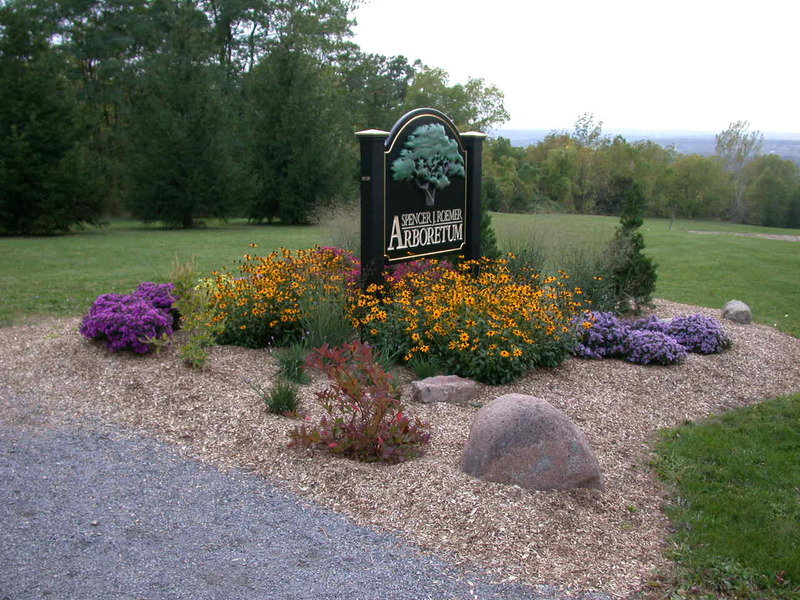 The Arboretum provides opportunities to bring together members of both the SUNY Geneseo and Village of Geneseo communities to interactively experience the benefits provided by this centrally-located, natural heritage. Free parking for the public is permitted in LOT J north of the Arboretum during the summer from Commencement (May 17) until (and not including) student move-in day (August 22). (You can find a campus map here). During the academic year, parking is allowed in LOT J after 4 pm and on weekends. At other times during weekdays in the academic year, visitors may obtain a visitor's parking permit from the Parking Services Office in Schrader Hall Room 19 (open 8 am - 4pm). The Arboretum is only open to the public from dawn to dusk.